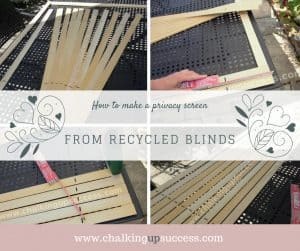 How to make a privacy screen from recycled blinds - Chalking Up Success! Let’s face it, who doesn’t like ‘free’? If I can recycle or make something amazing for next to nothing, then that makes me a very happy bunny. 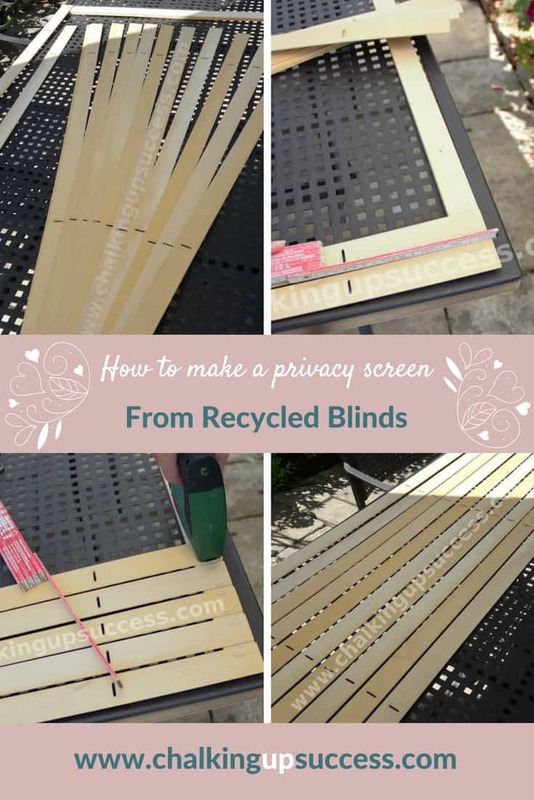 Here’s something you can easily make from recycled blinds. 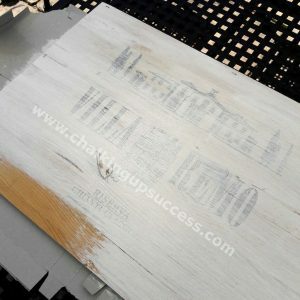 This week I’ve been coasting ahead with the pallet sofa for my balcony and completed two of the smaller projects including a privacy/sunscreen and an outdoor side table. The sitting area on our balcony gets the sun from around 1 pm onwards until it sets behind the forest to the west of our house. I originally, thought I would be able to reuse a small sun sail of ours, which has been gathering dust in our basement, and use that as a sunshade. Once I got the sun sail out on our balcony though, it was clear that it was going to be far too large for the space. However we tried to turn it, it just wasn’t right. I thought about cutting it to size but to be honest, I wouldn’t know where to start and didn’t want to ruin the sail completely. Me being me, I put my creative thinking cap on and came up with another idea for making a sunscreen which would also double as a privacy screen. 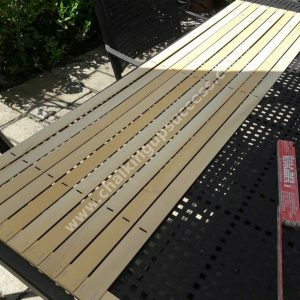 We recently replaced the wooden Venetian blinds in our lounge and still have the wooden slats in our basement. I’ve been looking for ways to recycle them for ages so this seemed like the perfect opportunity. 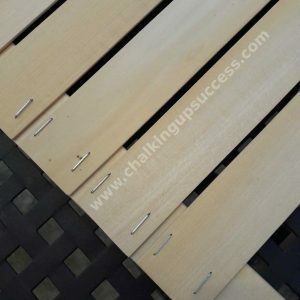 The slats which were used to attach the blinds to the ceiling and the slats at the very bottom were quite thick so I used three of these as supports in this recycled blinds project. 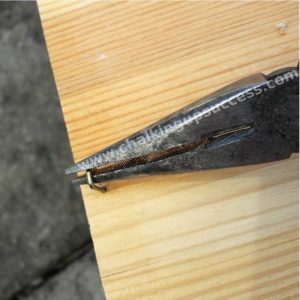 Then, I used my cordless tacker to tack each of the thinner slats to the supports. 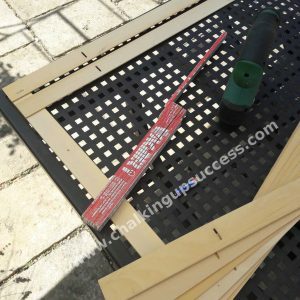 As a spacer for measuring the distance between each slat, I used the small edge of my measuring stick. I could have measured the distance if I wanted the gap to be wider but to be perfectly honest, I’m lazy and like to get things done. Have you heard the saying done is better than perfect? Well, in this case, it got done AND it’s perfect, in my opinion at least! I tacked the slats on to about halfway down the length of the supports. 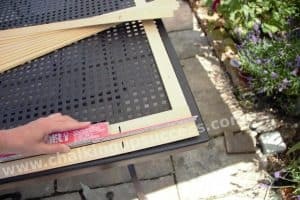 I thought about painting the slats with outdoor paint so that they would keep a bit longer but as my husband said, it’s a temporary screen and will probably last a year before it will need replacing. 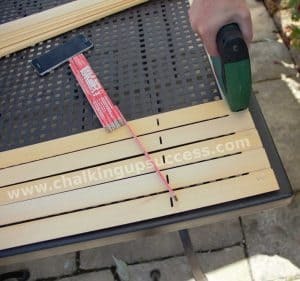 I have lots of tacks and lots of slats so if this one breaks, I can easily replace it with another – therefore, no paint! 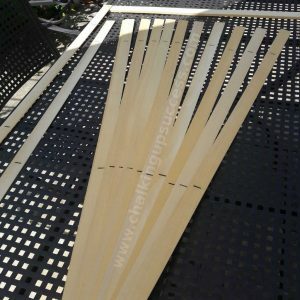 Once the privacy/sunscreen was finished, I just slipped the supports down through the top of the pallets. If I was making this to be free standing then, of course, I would make a more robust frame so that it could stand alone. In this case though, the pallets are resting up against the wall and roof of our garage so there’s no chance that the privacy/sunscreen would fall over in the wind. Now the privacy/sunscreen is the perfect height to block the sun for anyone sitting on the sofa and all it cost me was a new packet of staples for my cordless staple gun! Best of all, I love that I was able to use recycled blinds for this project. I think this would also work well as a photo backdrop or as decor against a wall. For instance, it would look great in a small office where a little bit of creativity is needed to jazz up a wall without taking up too much space. Here’s how the finished privacy screen looks on our balcony. You can read how I put this whole look together in the post How To Create A Beautiful Boho-Chic Pallet Sofa. 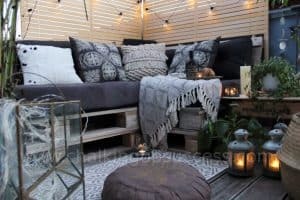 When we fitted the wooden pallets into the small space on the balcony, there was still some space to the side of the sofa which would be perfect for a small side table. 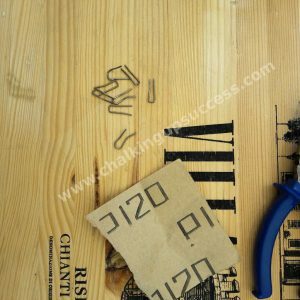 I decided to use a lovely wooden beer crate turned upside down as the base for the table. I painted the lid of a wine crate to use as the top. I’m not sure yet if I’m going to use this as the lid, I might just place a plate or a tray on top of the crate instead. 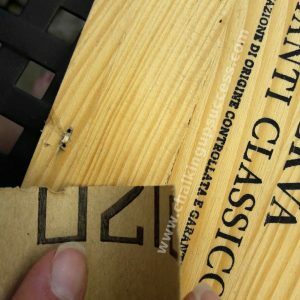 Between recycled blinds and recycled beer crates, I’m feeling pretty happy today – I’d love to hear what you think of my screen and if you have any other ideas for using recycled blinds, I’d love to hear them – I’ve got loads more to use up!